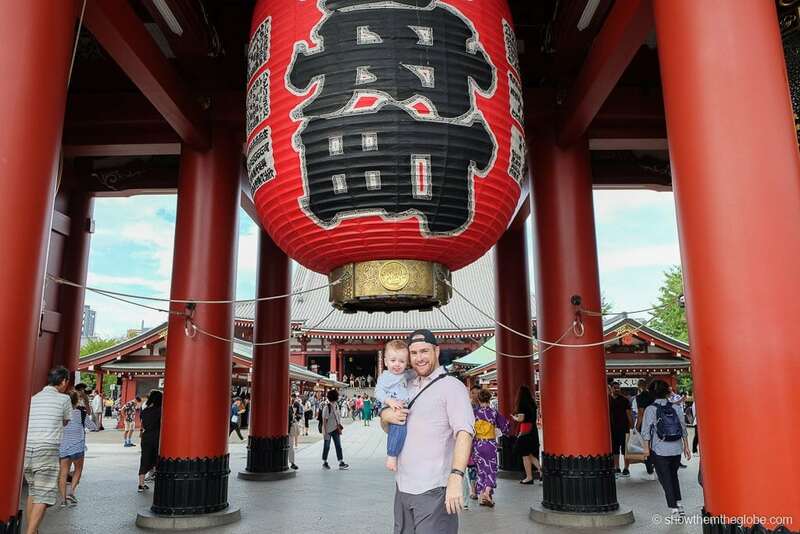 With its towering skyscrapers, crowded streets and neon lights Tokyo is a fascinating city for tiny adventurers and we loved the variety of things to do in Tokyo with a baby. 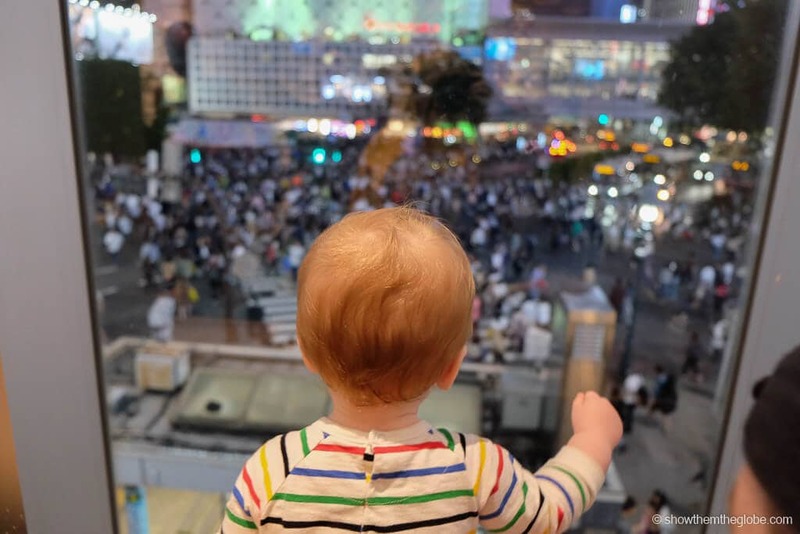 We traveled to Tokyo with baby J when he was 10 months old and together we explored its iconic sights from Shibuya Crossing to Harajuku to the amazing Digital Art Museum. The city is an awesome choice for a family vacation. 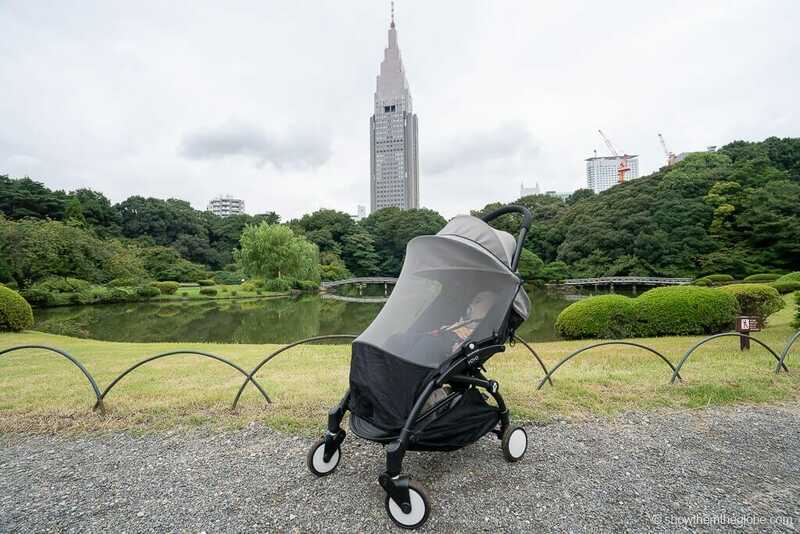 We’ve put together our guide to the best things to do in Tokyo with a baby. Happy planning! As we were spending two weeks in Tokyo we wanted somewhere relatively spacious in a city where hotel rooms are notoriously small! We generally travel everywhere by train in Tokyo and so always chose a hotel within a short walking distance of a subway station or, preferably, one of the major train stations such as Tokyo Station. Most hotels and are very welcoming to younger guests: when we arrived at both our hotels J was gifted a little welcome package with slippers and a baby cloth which was a lovely gesture. 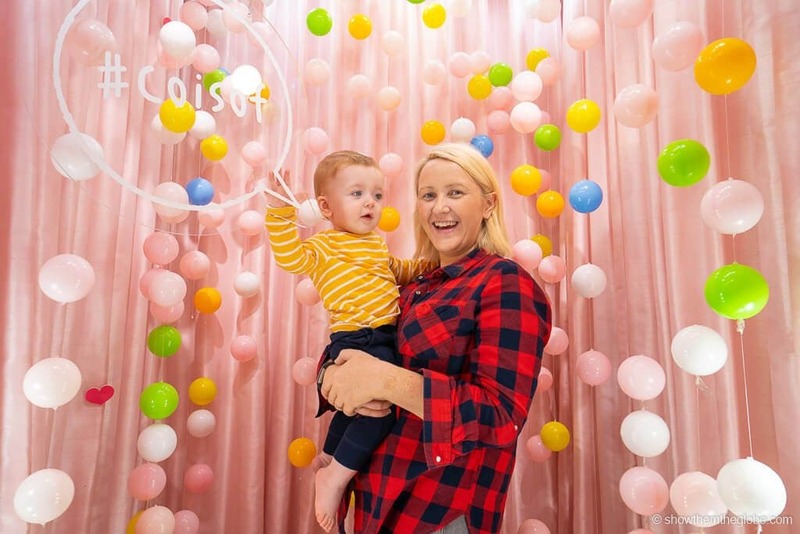 Many hotels provide cribs but we prefer to travel with our own compact travel cot which we know meets the recommended safety standards we follow. 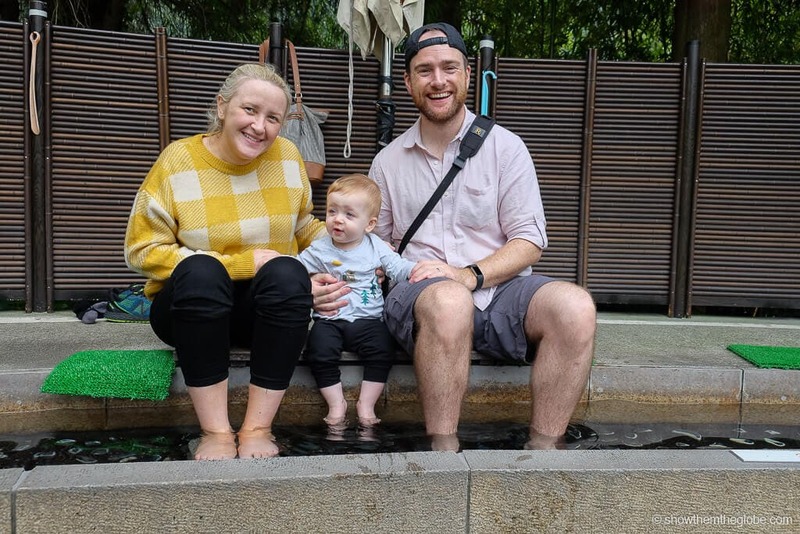 Things to do in Tokyo with a baby tip: lots of hotels in Tokyo have coin operated laundry on site and we loved having the flexibility to do some laundry especially as we were on a multi country trip. We brought baby sensitive detergent with us but the detergent was often automatically included in the washing cycle. Mitsui Garden Hotel Koyobashi: close to both Tokyo Station and the Koyobashi Metro Station as well as within walking distance of Ginza, the Mitsui Garden Hotel is a great base for exploring the city. We opted for a standard room which was a decent size and we appreciated the hotel’s coin-operated laundry – Check prices here! Shibuya Excel Hotel, Tokyu: close to Shibuya Station the hotel’s 25th-floor restaurant level offers the best views of Shibuya and the location is excellent for exploring the city – Check prices here! Babies are great travelers and don’t really impact sightseeing activities provided it’s a baby friendly activity. Tokyo is an assault on the senses and we loved that J embraced the city and had a lot of fun with some of its sights. 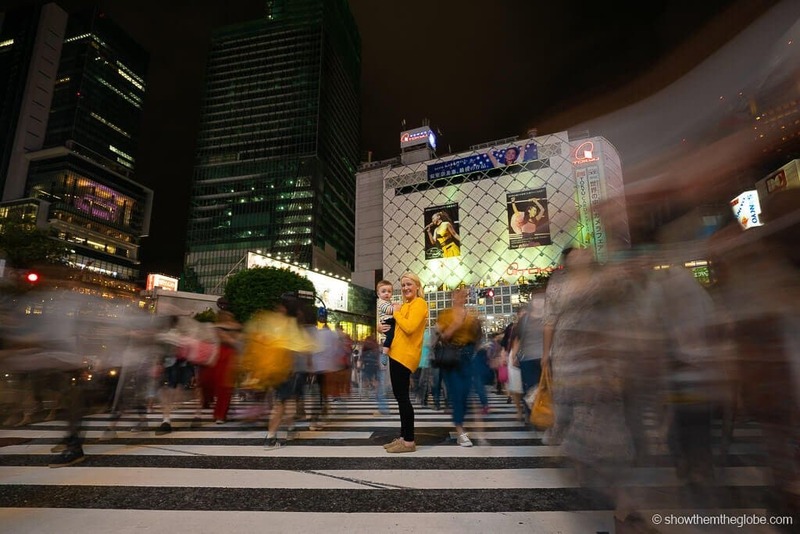 With thousands of pedestrians crossing at every green light, Shibuya Crossing is an iconic Japan landmark. Known as the crossroads of the world, it’s a fascinating mix of bright lights and chaotic crowds set against a maze of zebra crossings. Shibuya crossing is incredible from both street level and from above – grab a window seat at the Starbucks Shibuya Tsutaya and watch in awe! Tokyo with a baby tip: On exiting Shibuya Station don’t forget to check out the statue of Hachikō. Hachikō was the loyal dog who awaited his dead master’s return for nine years, nine months and fifteen days at Shibuya. From robots to ninjas to mad hatter tea parties, Tokyo is famous for its themed restaurants. We decided on the wacky Kawaii Monster Cafe in Harajuku. The Monster Cafe is a visual feast with bizarre food, decor and drinks! J loved the bright decor, the crazy music and the quirky staff costumes. Despite all the action, he managed to nap at least an hour of our visit! 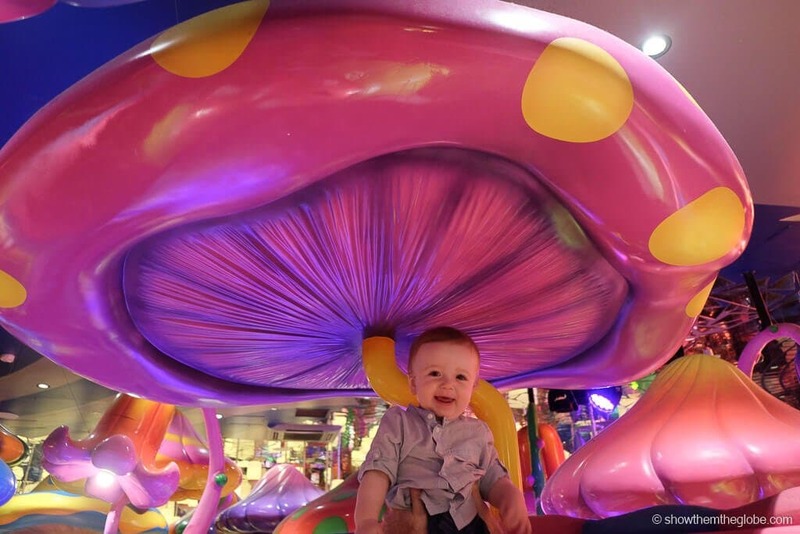 Having fun in the mushroom disco! 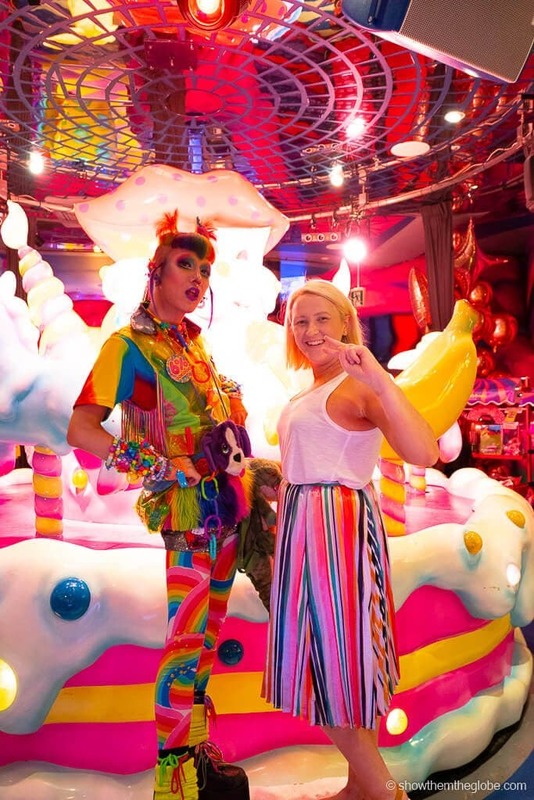 Kawaii Monster Cafe is a visual treat! One of the best investments you can make for your trip to Japan is to buy/rent a sim card or 4G hotspot. This will give you internet access while on the go. We have used both sim cards and 4G hotspots during our trips to Japan. A sim card is perfect if you just have your phone while the 4G hotspots are great if you have multiple devices that need internet or if you’re travelling a group. They also avoid any compatibility issues with installing a sim card. We used the Klook app to order our sim cards for our last trip. The app is great as you can order in advance and pick up on arrival or from various departure cities. The best 4G hotspot on offer is provided by URoaming with unlimited data – check prices now! The best sim card is from Docomo (who we used) – check prices now! Depending on the duration of your stay, a 24, 48 or 72 hour subway pass is invaluable for navigating the city. We saved so much yen by using our 3 day subway pass for sightseeing trips rather than paying for each individual journey. The passes can be picked up at one of the designated arrival airports in Japan. The pass works for unlimited rides on Tokyo Metro and Toei Subway lines – check prices now! Famous for its pop culture and quirky street style, Harajuku is one of our favorite Tokyo neighborhoods. An Instagram dream, it is colorful, fun and fierce and it instantly captured J’s imagination. 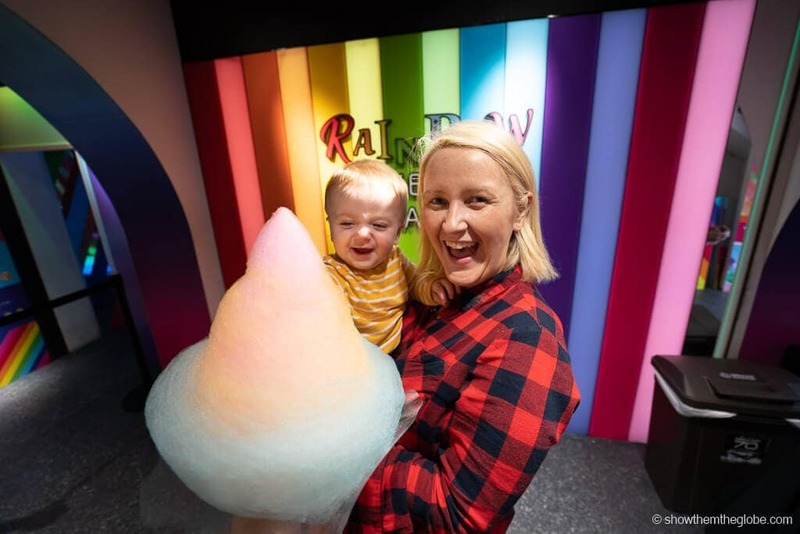 As a family, we loved the rainbow fairy floss from Totti Candy (we’ve promised to bring J back one day to actually taste it! ), the colorful cafes and street food and the impressive Meiji Shrine. Am I too young for a sugar rush mum! Ice cream stop with a bonus photo booth! A Japanese institution, Tokyo is dotted with purikura stores. The purikura boots are fun photo booths where you can add stickers and captions to photos and have them printed passport photo style. 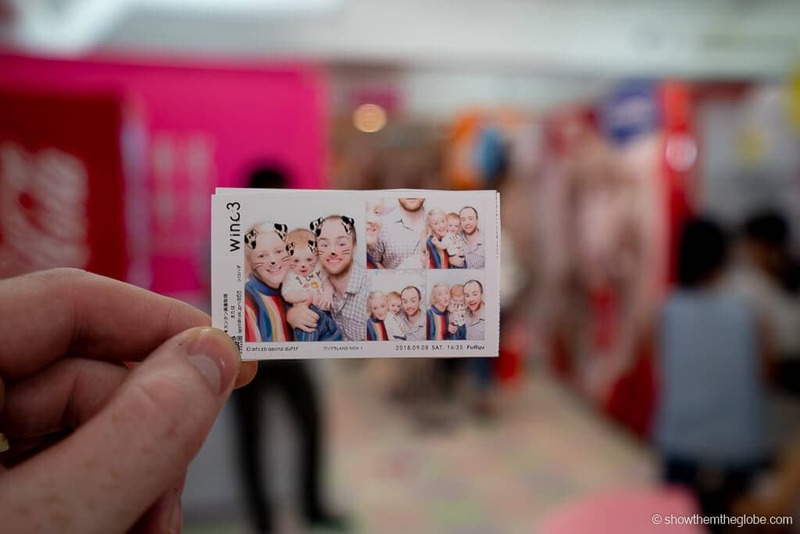 The purikura booths are a really fun experience and the printed photos are an awesome memory of Tokyo. 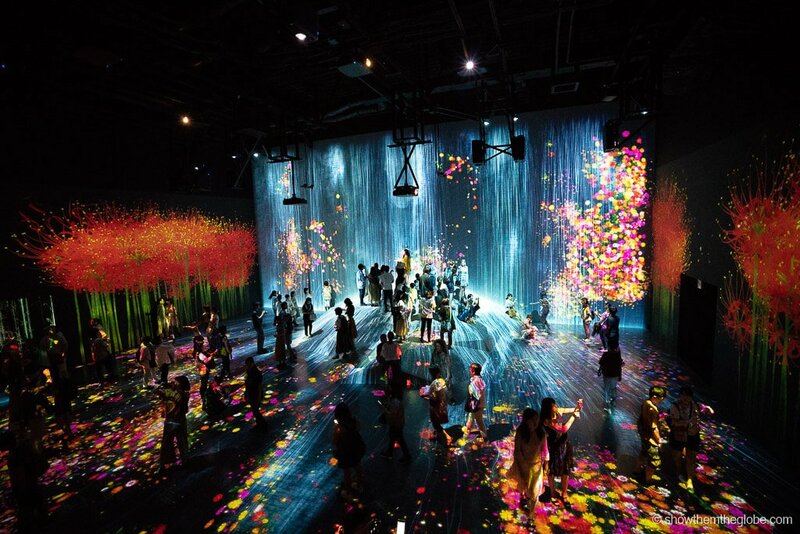 Tokyo’s Digital Art Museum is a huge space full of interactive digital art exhibitions. It’s an awesome place for kids to let their imaginations run wild. 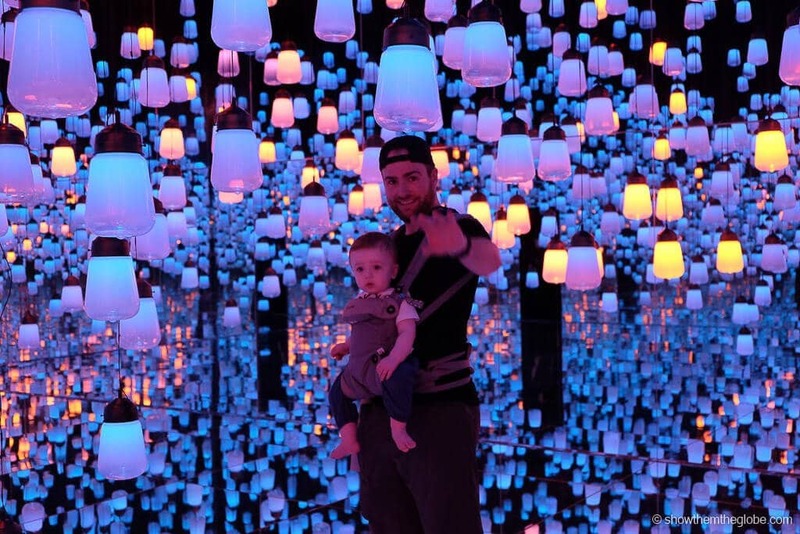 The Digital Art Museum is designed for adults and children and J loved the ever-changing lights and displays. There are even dedicated kids zones and the weightless forest was a hit with J! Things to do in Tokyo with a baby tip: The Digital Art Museum frequently sells out. Make sure to book a ticket in advance of visiting. We recommend visiting first thing in the morning as it tends to get more crowded throughout the day. 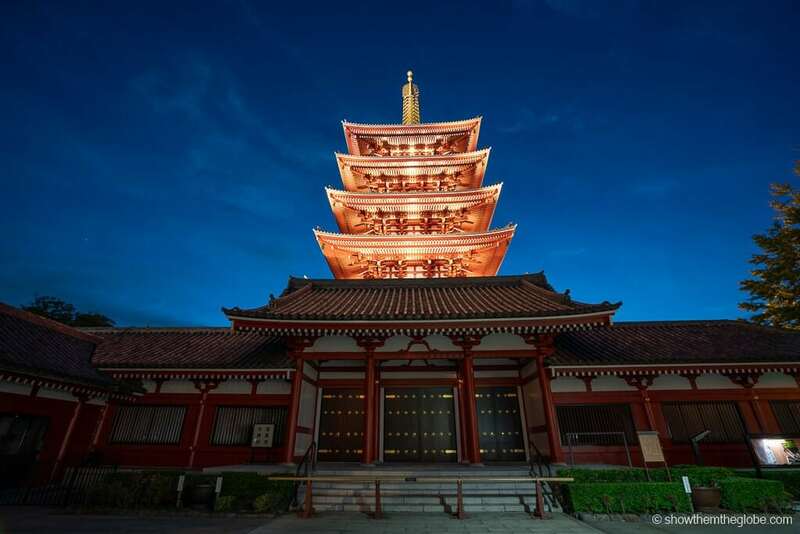 Located in Asakusa, the ancient Buddhist temple of Sensoji is Tokyo’s oldest and most visited temple and is a must see in the city. Sensoji is thronged with people and J loved the colorful five-story pagoda and the smell of incense which fills the air. Tokyo has many beautiful green areas which are the perfect escape from the chaotic city streets. We loved exploring Yoyogi Park, Ueno Park and the Shinjuku Gyoen National Garden. The street performers at Yoyogi were a big hit with J as were the swan boats at Ueno! 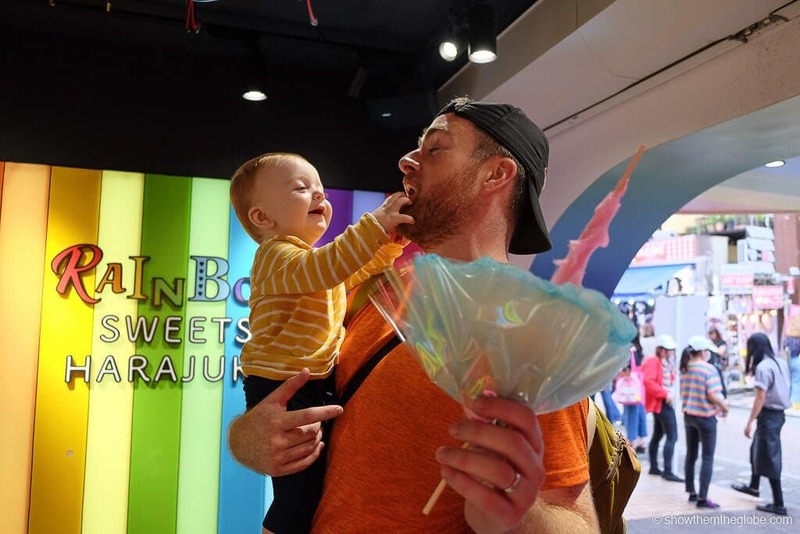 Things to do in Tokyo with a baby tip: Yogogi Park comes to life at the weekends so try and visit on a Saturday or Sunday afternoon if your itinerary allows. Ueno Park and the Shinjuku Gyoen National Garden are great to visit on any day of the week. Hakone is a popular day/overnight trip from Tokyo. 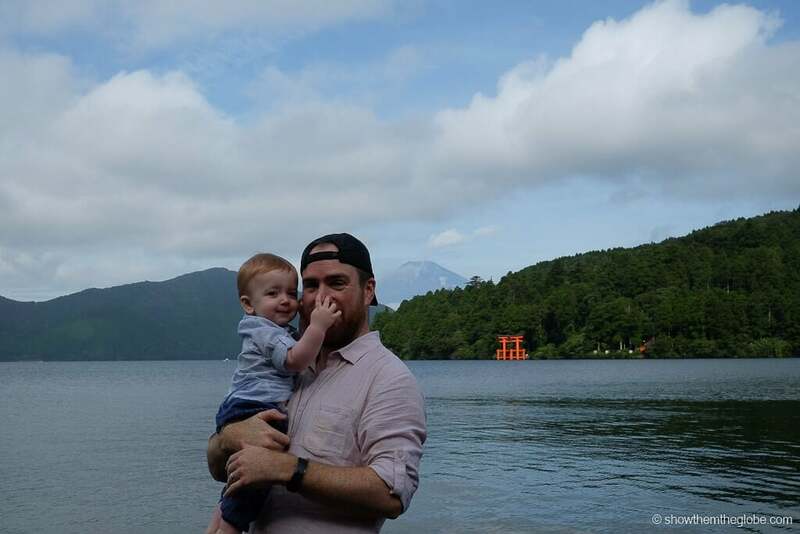 We spent a few nights in Hakone in search of hot springs and a glimpse of the iconic Mount Fuji. We stayed in a traditional Japanese room where we slept on the floor and bathed in the hotel’s onsen, visited the stunning Hakone shrine, wandered through the awesome Open Air Museum, sampled the local specialty of black eggs and took a scenic boat trip on Lake Ashi under the wonderful backdrop of Mount Fuji. 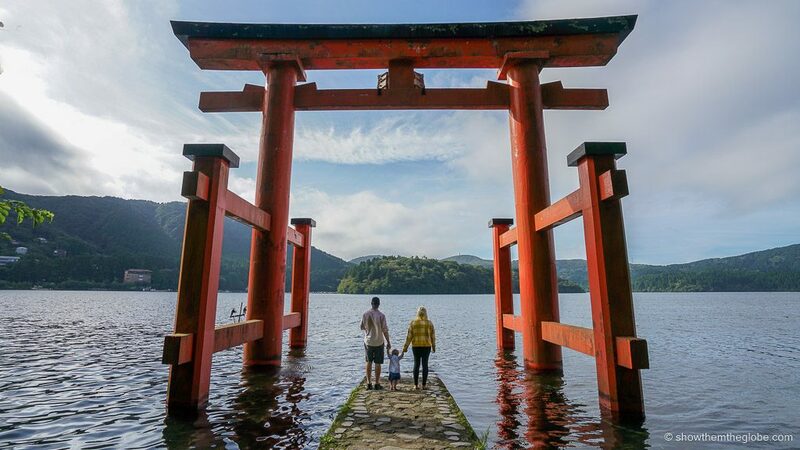 If you are planning on visiting Hakone, check out our guide to the best things to do in Hakone with kids. 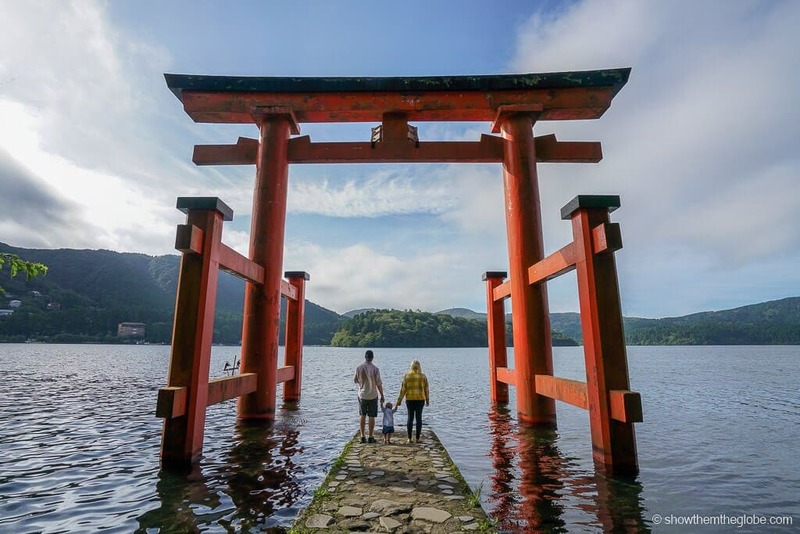 Tokyo with a baby tip: Hakone is easily accessible via the Odakyu Electric Railway which runs from Shinjuku Station and there are tourist passes available which include sightseeing buses and a boat ride. 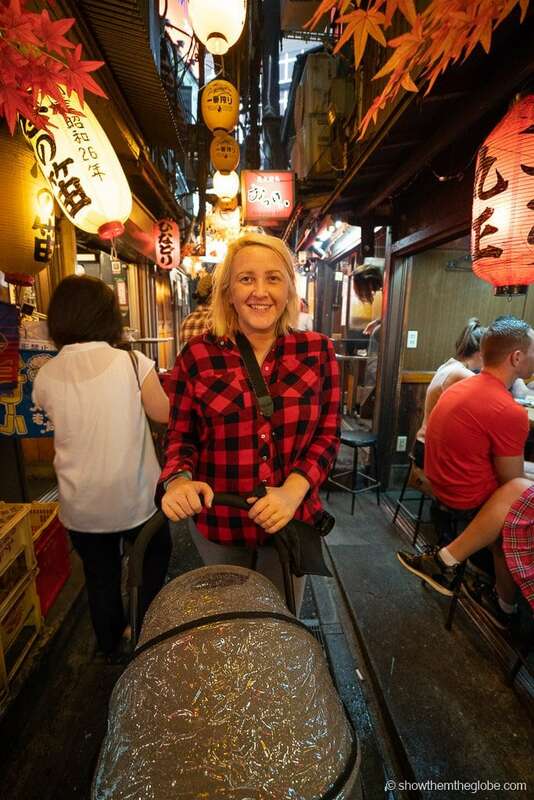 We had J’s car seat and decided to rent a car and drive ourselves – driving was straightforward and there was plenty of parking but make sure to pick up an International Driving Permit, or IDR, before you travel to Japan. The bustling subcenter of Shinjuku, a hub for eating, drinking, entertainment and shopping, is the Tokyo that appears in the movies. It’s more of an adults playground but we still loved our late evening walks through Shinjuku before J went to bed. Wander through the maze of alleys which comprise Memory Lane and Golden Gai and stop by the legendary Robot Restaurant and take in its neon robot scene. The Seiji Togo Memorial Sompo Japan Nippon Koa Museum of Art is the perfect spot to introduce the little adventurer to Vincent Van Gogh as the museum is home to a painting from his iconic Sunflower series. 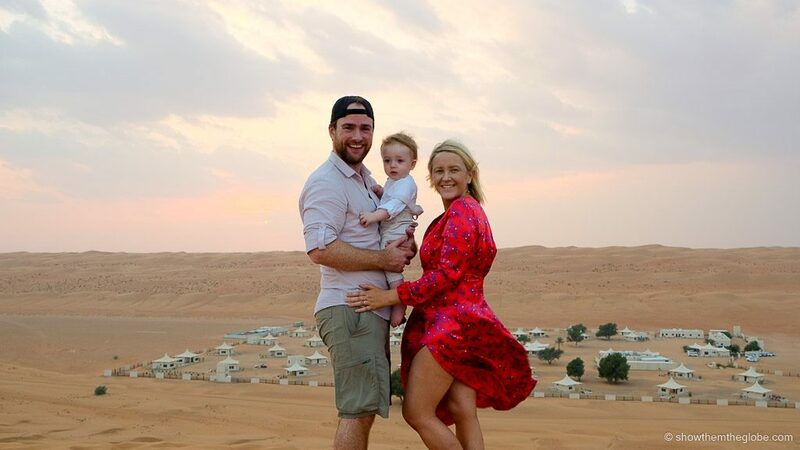 We’re Elaine, Dave and Baby J – exploring the world as a family one country at a time! 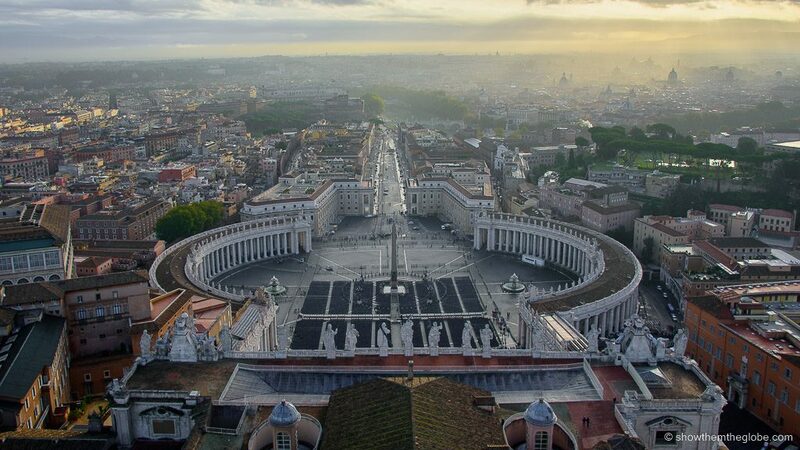 Rome With Toddlers: 15 best things to do!